Tried to make use of the super zoom function in my canon camera today. 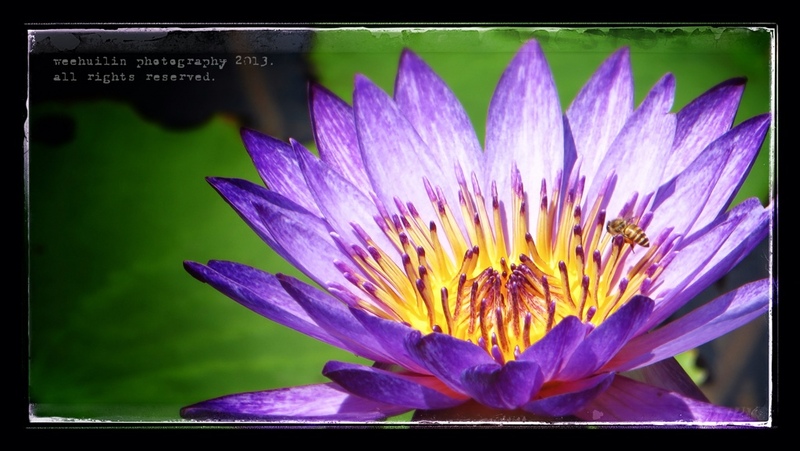 When I was near the lotus pond, I caught sight of the bee flying near the petals and managed a zoom-in quick enough. On another note, my LC-A didn’t catch on the film well and all my 36 planned shots were wasted. Lamenting over the loss of my misplaced moments.